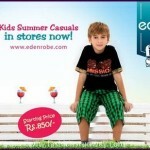 Spring summer period is on the packed soaring numbers all around Pakistan. 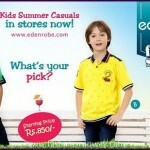 Designers team are active to work for their latest inventions and brings its hottest wardrobes collection for all people like young boys, girls, old age women and men to make their style as per the current spring summer weather demand. 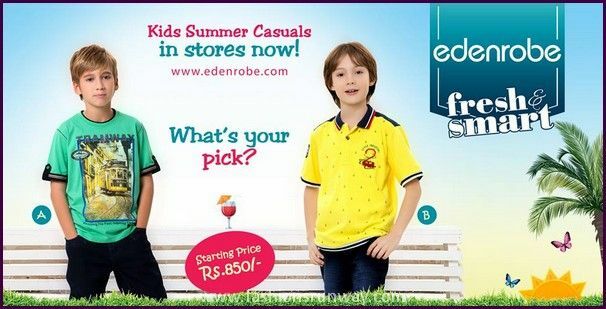 More than hundreds designers in Pakistani who have launched their spring summer lawn collection for women, casual wear summer wardrobes for men. 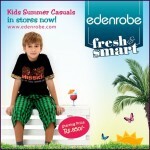 But it’s a fact, just two to three designers in Pakistan who are creating children dresses range. 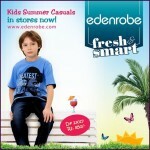 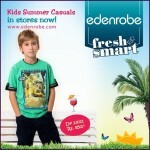 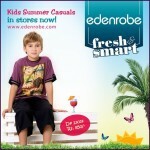 From these, Eden Robe is the number 1 fashion brand for children and revealing spring summer collection for kids. 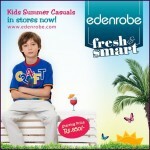 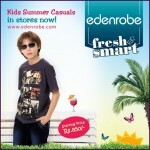 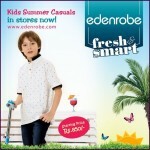 To encompass it’s tradition as per the every year, Eden Robe have been launched kids summer collection 2015 that is entitled as “Eden Robe Fresh & Smart Kids Summer Casuals 2015” exclusively designed for kids who always think for fun and feel comfortable on the all 365 days. 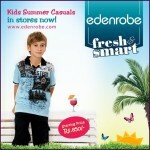 Now look smart and play with the hot summer weather by wearing Eden Robe ready to wear summer collection 2015 by Eden Robe. 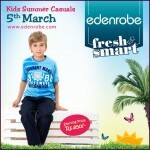 Eden Robe Kids Summer Casuals 2015 for Children is stocked in all Eden Robe stores nationwide from 5th March 2015. 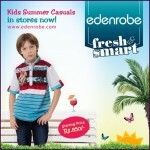 The collection includes kids tea-shirts on v-shape and collar style, paired with denim jeans fabric pent and shots that is suitable and comfortable for children for the spring summer season. 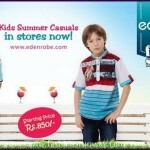 The collection incorporates complete range of color tones, stylishness and refinement collectively to harmonize the distinctiveness that appears with apiece creature personality of Eden Robe clothing label cherished customers, it includes an extensive dresses range for children. 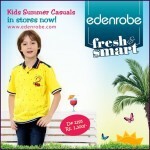 Check below here Eden Robe fresh and smart kids summer casuals 2015 for children, complete magazine catalogue ready to wear dresses designs for children by Eden Robe clothing label.